The Scottish Granny Comes to NYC + Barnes & Noble Gift Card Giveaway! Thank you to our partner Barnes & Noble! 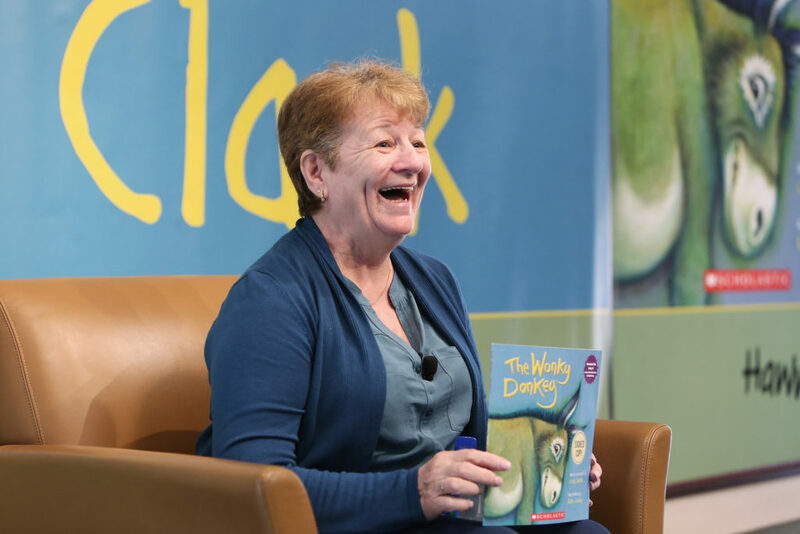 I adore reminders of all the goodness in the world, and it doesn’t get much better than a granny with a heartfelt, infectious laugh (AKA“The Scottish Granny” or “The Laughing Grandmother”) who went viral for merely being her delightful self while reading a book entitled The Wonky Donkey to her grandson. Janice Clark has become quite the YouTube sensation, and Barnes & Noble recently brought her to their New York City – Union Square – location for fans (both big and small) to enjoy an exclusive live reading of the Craig Smith book. Image via Barnes & Noble. More than 100 kids came to the event, and Janice could barely contain her laughter while reading The Wonky Donkey. Naturally, the kiddos laughed along with her and eagerly asked questions after the reading. I learned that the Wonky Donkey was out of print, and Barnes & Noble worked with the publisher to reprint copies for both their stores and online orders after they noticed a spike in searches of the book on BN.com when Janice’s YouTube video went viral. Thanks to this sweet Granny, the book has become a national bestseller! We are so excited that Barnes & Noble is spreading the love with a giveaway of a $100 Barnes & Noble Gift Card just in time for the holiday season. Enter via the below widget. U.S. addresses only please, and all entries are verified. Don’t forget to check back to see if your name pops up as the winner! 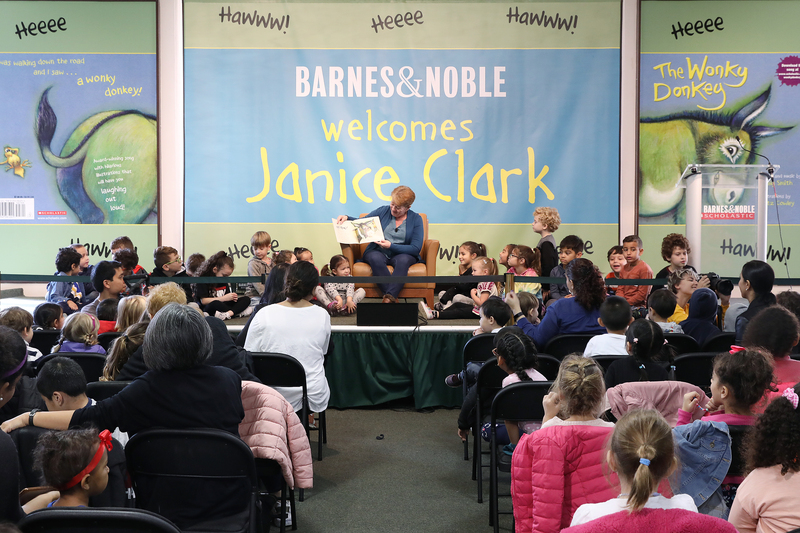 Check out the Barnes & Noble Holiday Gift Guides and find out where to catch a Barnes & Noble Storytime in stores nationwide every Saturday at 11 AM. Also, be sure to join their Kids Club for rewards and special offers throughout the year. View the Scottish Granny in action here!